9780300213546 | 1 edition (Yale Univ Pr, May 26, 2015), cover price $28.00 | About this edition: A frank assessment of economists’ blindness before the financial crash in 2007–2008 and what must be done to avert a sequel The failure of economists to anticipate the global financial crisis and mitigate the impact of the ensuing recession has spurred a public outcry. 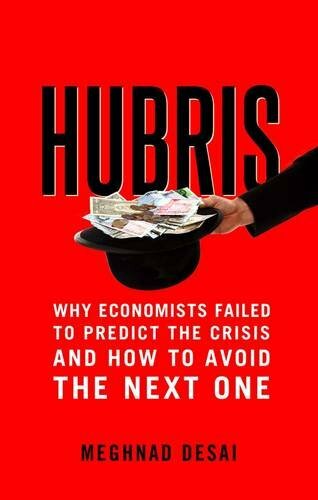 9780300219494 | Yale Univ Pr, June 14, 2016, cover price $18.00 | About this edition: A frank assessment of economists’ blindness before the financial crash in 2007–2008 and what must be done to avert a sequel The failure of economists to anticipate the global financial crisis and mitigate the impact of the ensuing recession has spurred a public outcry. 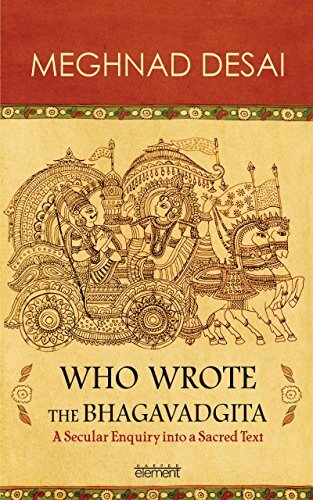 9789351361657, titled "Who Wrote the Bhagavadgita? : A Secular Enquiry into a Sacred Text" | Harper360, March 17, 2015, cover price $17.99 | About this edition: A humanist critique of the Gita, 'the most influential work in Indian thought' The Gita is an evolving response which deals with the conflicts between Veda and Vedanta and then with the challenge posed to Vedanta by Buddhism. 9780415305297 | Routledge, November 1, 2003, cover price $200.00 | About this edition: The editors of this book have pulled together a collection of chapters that review the spate of financial crises that have occurred in recent years starting with Mexico in 1994 and moving on to more recent crises in Turkey and Argentina. 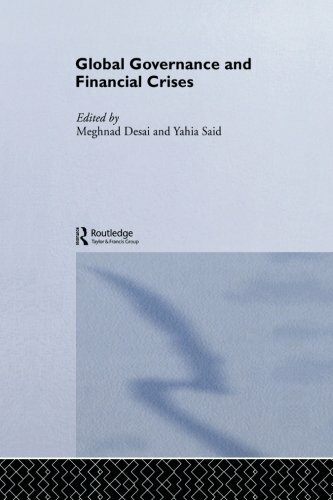 9781138810839 | Reprint edition (Routledge, June 19, 2014), cover price $54.95 | About this edition: The editors of this book have pulled together a collection of chapters that review the spate of financial crises that have occurred in recent years starting with Mexico in 1994 and moving on to more recent crises in Turkey and Argentina. 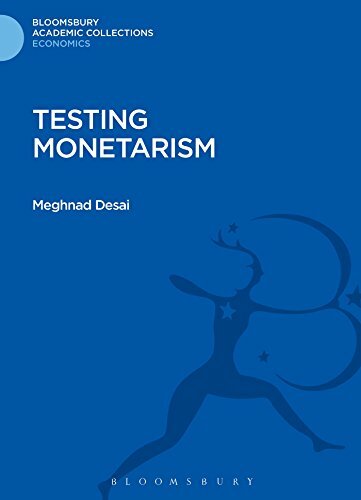 9781472514066 | Bloomsbury USA Academic, January 9, 2014, cover price $128.00 | About this edition: Testing Monetarism pursues the complex question of the nature of the controversy surrounding monetarist theory and evidence, and the reasons for the persistence of this controversy. 9780861872251 | Pinter Pub Ltd, March 1, 1983, cover price $15.50 | About this edition: Testing Monetarism pursues the complex question of the nature of the controversy surrounding monetarist theory and evidence, and the reasons for the persistence of this controversy. 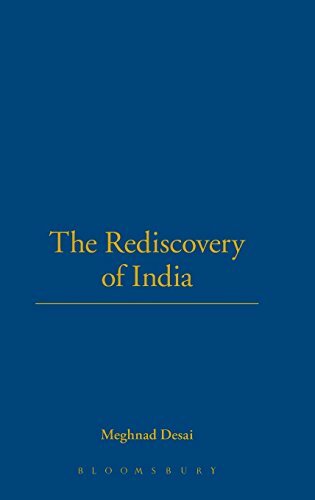 9781849663502 | Bloomsbury USA Academic, April 26, 2011, cover price $39.95 | About this edition: What makes India a nation? 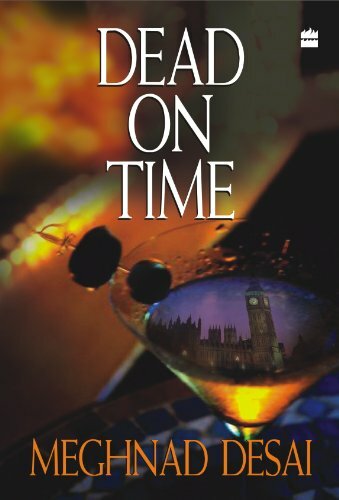 9788172238292 | Gardners Books, April 1, 2009, cover price $12.35 | About this edition: For the Right Honourable Harry White, Britain's charismatic and politically savvy prime minister, it is a busy day like any other at 10 Downing Street. 9781905636730 | Gardners Books, January 10, 2009, cover price $12.35 | About this edition: For the Right Honourable Harry White, Britain's charismatic and politically savvy prime minister, it is a busy day like any other at 10 Downing Street. 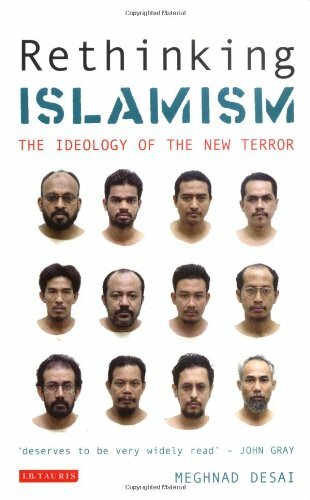 9781845112677 | Tauris Academic Studies, December 26, 2006, cover price $27.00 | About this edition: Despite increasingly frantic calls - especially after the London bombings of July 7 2005 - for western leaders to 'understand Islam better', there is a still a critical distinction that needs to be made between 'Islam' as religion and 'Islamism' in the sense of militant mindset. 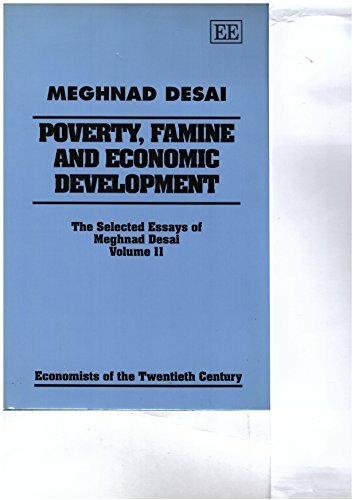 9780195667608 | Oxford Univ Pr, January 6, 2006, cover price $60.00 | About this edition: This collection of Meghnad Desai's essays are a treatise on the political economy of South Asia in general and of India in particular, in the last thirty five years. 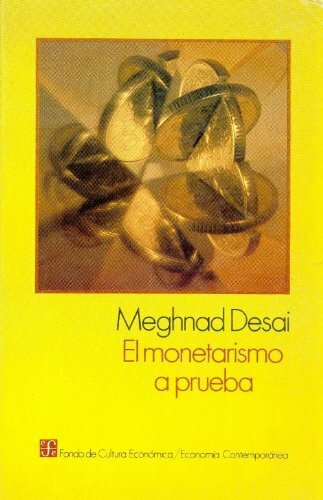 In this provocative and enthusiastically revisionist book, the distinguished economist Meghnad Desai argues that capitalismâs recent efflorescence is something Karl Marx anticipated and indeed would, in a certain sense, have welcomed. Capitalism, as Marx understood it, would only reach its limits when it was no longer capable of progress. 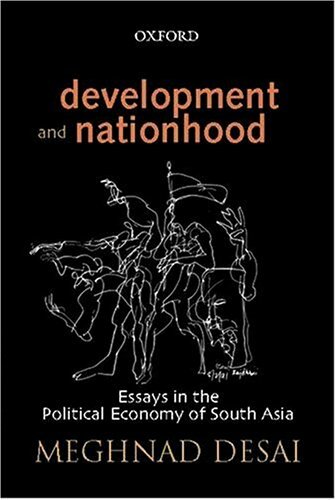 Desai argues that globalization, in bringing the possibility of open competition on world markets to producers in the Third World, has proved that capitalism is still capable of moving forwards. Marxâs Revenge opens with a consideration of the ideas of Adam Smith and Hegel. It proceeds to look at the nuances in the work of Marx himself, and concludes with a survey of more recent economists who studied capitalism and attempted to unravel its secrets, including Joseph Schumpeter, John Maynard Keynes and Friedrich Hayek. 9781859846445, titled "Marx's Revenge: The Resurgence of Capitalism and the Death of Statist Socialism" | Verso Books, April 1, 2002, cover price $27.00 | About this edition: In this provocative and enthusiastically revisionist book, the distinguished economist Meghnad Desai argues that capitalismâs recent efflorescence is something Karl Marx anticipated and indeed would, in a certain sense, have welcomed. 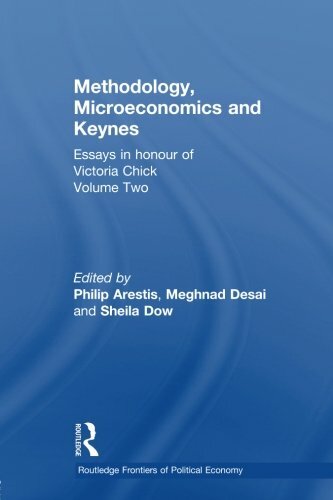 Product Description: This volume, a companion to Money, Macroeconomics and Keynes, represents both consolidation and the breaking of new ground in Keynesian methodology and microeconomics by leading figures in these fields. 9780415232197 | Routledge, November 1, 2001, cover price $250.00 | About this edition: This volume, a companion to Money, Macroeconomics and Keynes, represents both consolidation and the breaking of new ground in Keynesian methodology and microeconomics by leading figures in these fields. 9780415758338 | Routledge, April 9, 2014, cover price $54.95 | About this edition: This volume, a companion to Money, Macroeconomics and Keynes, represents both consolidation and the breaking of new ground in Keynesian methodology and microeconomics by leading figures in these fields. 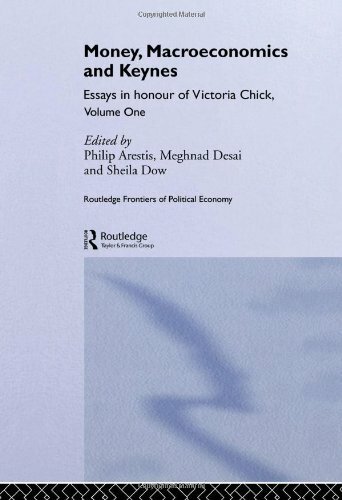 9780415232180 | Routledge, November 1, 2001, cover price $210.00 | About this edition: This volume, along with its companion volume, Methodology, Microeconomics and Keynes is published in honour of Victoria Chick, inspired by her own contributions to knowledge in all of these areas and their interconnections. 9781855673328 | Pinter Pub Ltd, September 1, 1995, cover price $180.00 | About this edition: This is the first volume arising from the work of the Centre for the Study of Global Governance, based at the London School of Economics. 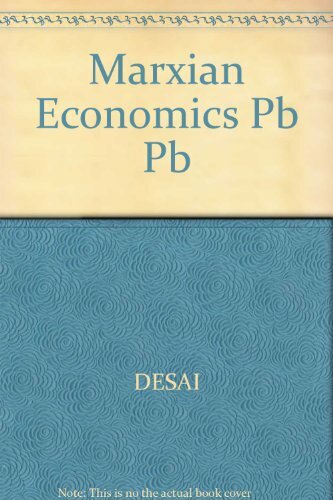 9781852786908 | Edward Elgar Pub, May 1, 1995, cover price $150.00 | About this edition: Meghnad Desai's work presents a significant challenge to economics as currently practised. 9789681628246 | Fondo De Cultura Economica USA, December 31, 1989, cover price $7.95 | About this edition: Ensayo que describe el proceso de parÃ¡lisis econÃ³mica y productiva en muchos de los paÃ­ses que han puesto en prÃ¡ctica las polÃ­ticas monetaristas recomendadas por la Escuela de Chicago.